Over the couple of times we’ve visited, Lil Baci always has a nice selection of fresh juices to choose from – whether it’s grapefruit, orange or raspberry lemonade. 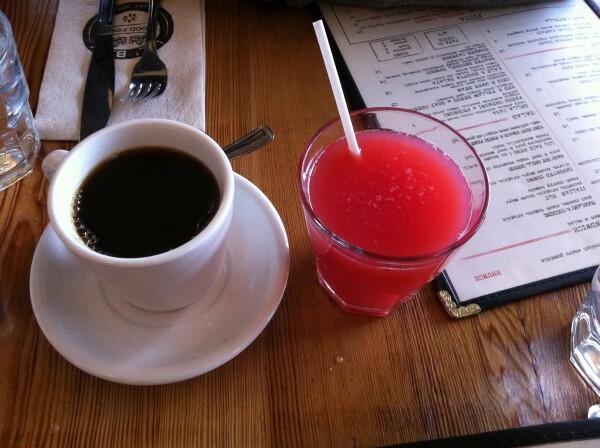 The coffee is fresh, hot and subject to pretty much limitless refills. Eggs Benedetto: Two poached eggs, Crispy pancetta. From the “poached” section, we’ve tried both the eggs benedetto and the eggs fiorentina – both served with perfectly poached eggs and pancetta. 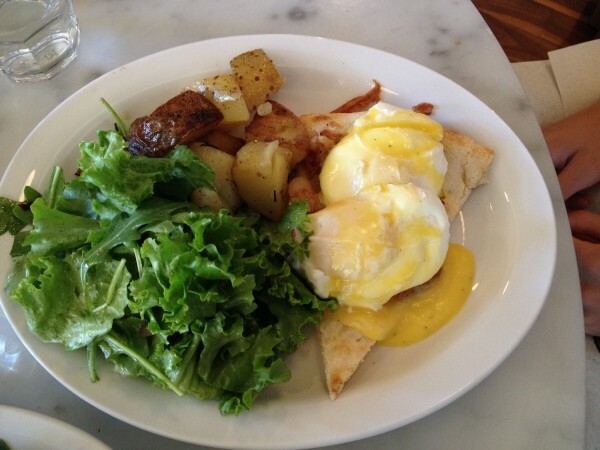 The former includes a handful of spinach, while the latter drizzles truffled lemon hollandaise generously over your eggs. There is a slice of homemade bread placed underneath it all that is particularly delicious – if possible (I haven’t tried), I’d order a basket of that bread to nibble on alone. The pork and beef ragu is served underneath a layer of scrambled eggs, a side of duck fat potatoes and a healthy bit of salad. If you want a brunch that’s got a bit more weight to it, this might be a good bet. The pizza festa is the hangover cure – at least that’s what people say. And they’re right, it’s no joke. Cubes of potatoes, strips of pancetta and chopped sausage liberally pepper the top. 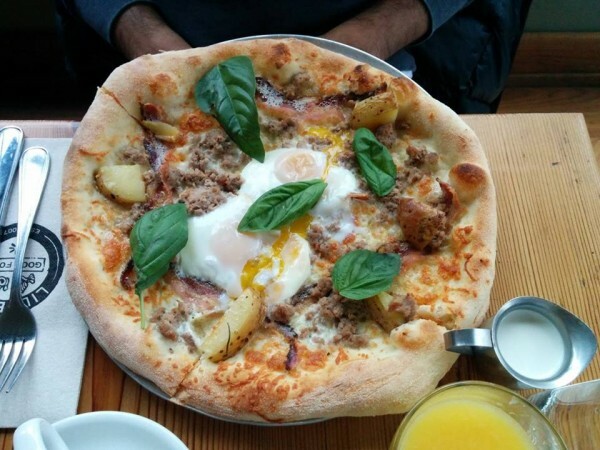 The pizza (great crust) is then garnished with basil leaves and two runny eggs that split as soon as you cut into them. A sight for sore eyes and empty stomachs. 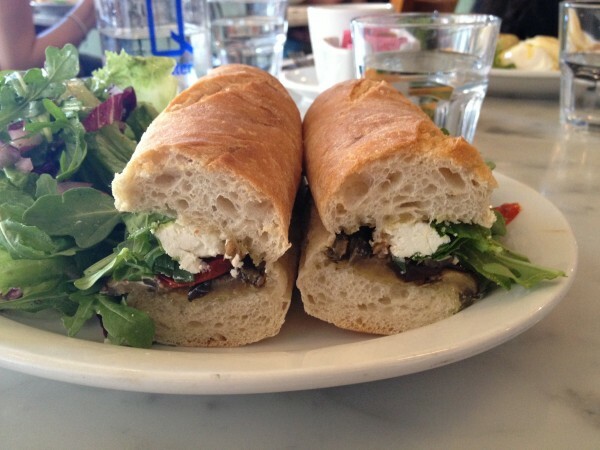 The eggplant sandwich is a simpler, vegetarian dish. Made with fluffy, supple bread, stuffed with roasted peppers, goat’s cheese and eggplants, this is a great option for those who want to stray away from typically brunch/breakfast food and officially toe into lunch territory. This guy is a monster. You kind of have to be in beast mode to finish the Lil Baci Hero or be someone with a big large appetite early on in the day. 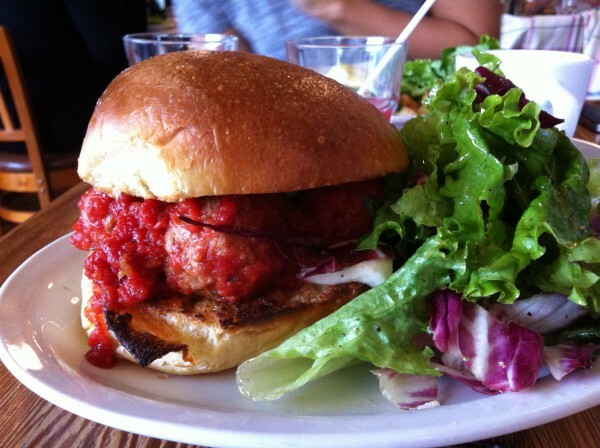 Hulking pork and beef meatballs bask triumphantly inside a house brioche bun, soaking in a thick tomato sauce, melting up fresh mozzarella, making it gooey and pretty freaking delicious. 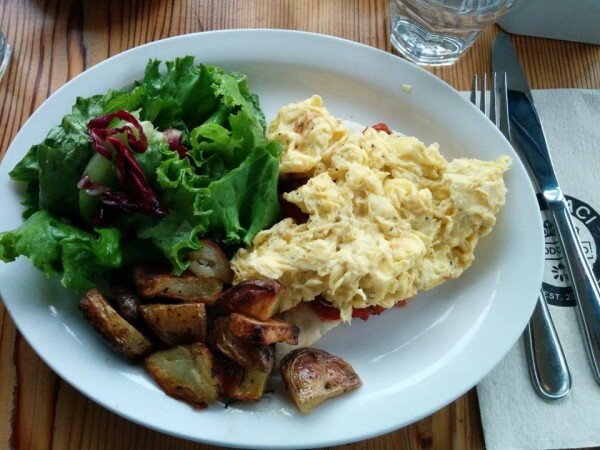 If you’re looking for a good brunch spot in midtown Toronto, Lil’ Baci Taverna offers simple, rustic, Italian food that will make you feel good. Really good. What’s not to like? *Note we’ve visited for brunch only. 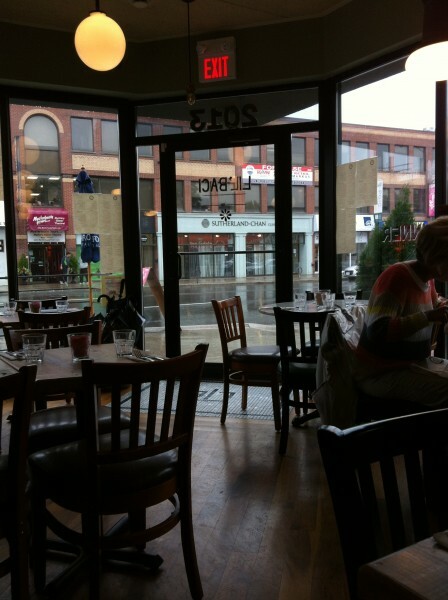 Lil’ Baci Taverna also serves dinner here as well as at the Queen St. location. 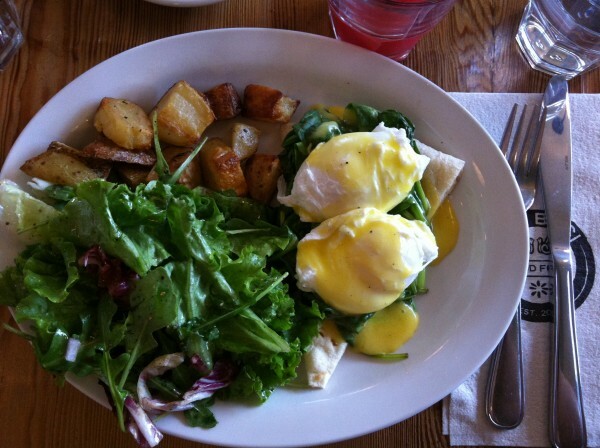 Tags: Brunch, Eggs, Italian, Lil' Baci, Midtown, Sandwich, Taverna, Toronto, Yonge and Eglinton.